A familiar name, with a new face. The Billericay Dog Training Centre is a newly established business. Operating on the site of the old 'Billericay Dog Training School' (which ceased to trade in December of 2015), we have the same facilities and have retained some of the staff from the original school, but beyond that we are an 'all new' operation. We are hoping that many of the old Billericay students will choose to join us on our journey, but we are also looking forward to welcoming lots of first time dog lovers into our new venture. Please explore our site to learn more. 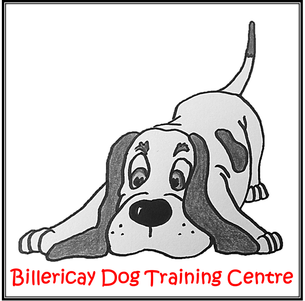 Open since January 2016, Billericay Dog Training Centre offers its clients a wide range of behavioural and training classes, for all breeds and ages of dog. Everything from basic Obedience to the Kennel Club Good Citizen scheme, along with the opportunity to stimulate and bond with your dog through the increasingly popular canine sport of Agility. We also hold special classes for Greyhounds (and Lurchers, if necessary), many of whom have training limitations and aren't good with other breeds when they first retire from racing. Our centre is open 5 days a week and offers both daytime and evening classes, meaning we really do have something to suit everyone. Please see the 'General Info' page for more details about enrolment, prices and class schedules.